The one-stop-source powering Agile Project Management success, jam-packed with ready to use insights for success, loaded with all the data you need to decide how to gain and move ahead. An one-of-a-kind book, based on extensive research, this reveals the best practices of the most successful Agile Project Management knowledge mavens, those who are adept at continually innovating and seeing opportunity where others do not. This is the first place to go for Agile Project Management innovation, in today's knowledge-driven business environment, professionals face particular challenges as their purpose is to discover or develop new concepts, products, or processes; the pressure to perform is intense. This title is the entryway to a single source for innovation. BONUS: Included with the book come numerous real-world Agile Project Management blueprints, presentations and templates ready for you to download and use. 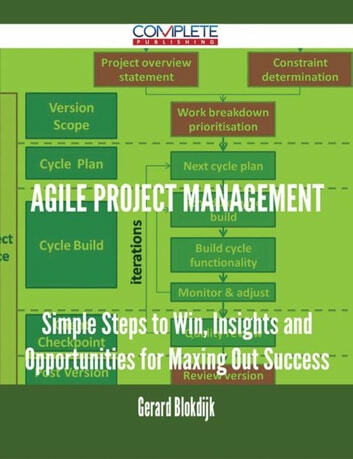 This book addresses the crucial issue of Agile Project Management adoption by presenting the facts to move beyond general observation. The model underpinning this book has been used as a predictive decision tool, tracking thousands of innovations for over more than a decade. 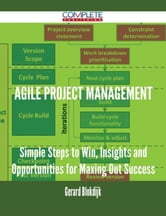 And...this all-encompassing analysis focuses on key areas of future Agile Project Management growth.